I read a heartbreaking story a couple days ago about mother whose baby died after struggling to breastfeed. He became dehydrated and this eventually effected his brain and heart. And while I can’t begin to comprehend this mother’s pain, I am grateful for her courage in telling her story with the hope that it will help other mothers. That is why I am writing today. I didn’t get to hold my first baby until he was three days old . . . except for those first precious moments after he was born. It was immediately apparent that he was having trouble breathing—his lips, feet, and fingers were blue and each breath was a sad little grunt. He was born at 37 weeks—technically full-term—but tests showed that he was developmentally at 32-34 weeks. He was transferred by ambulance to a nearby hospital that had a NICU. I had to stay behind. I didn’t get my skin to skin contact. I didn’t get to nurse him. All of my reading of many, many books didn’t prepare me for this. Well, kind of. What I had learned from those books (and magazines as I sat waiting to be seen by the doctor for my prenatal exams) was that if I didn’t immediately hold and nurse my baby he would develop bonding issues, might not ever learn to breastfeed, and I wouldn’t feel a connection to my baby. Among other things. Guilt and fear weighed me down more with every passing minute. As soon as I was discharged from the hospital, we hurried over to our baby across town. I felt like I was racing against some bonding clock. I hobbled to the elevator, washed my hands, and finally got to see our 5 pound, 13 ounce miracle. He had severe jaundice and respiratory distress. He had monitors and a feeding tube. This looked nothing like what I had imagined, or had been taught to imagine. They placed him in my arms, careful not to disturb all the wires. I got my skin to skin contact, and finally felt like a good mom—under the circumstances. Days passed. Feeding him was agony, for lack of a better word, especially since that is the best one. He wouldn’t latch on. I cried constantly. He cried constantly. And I cried when the nurse told me he had to supplement his feedings with formula. If there was one thing I learned as a first-time mother in the early 2000’s, was that unless you breastfed your baby, you were pretty much the worst. Not kidding. Commercials, magazine article, books, billboards, and posters in doctor’s offices all told me this over and over again. So, it was like I was watching them pour poison into his tiny, pure tummy when they hooked the formula up to his feeding tube. A “movement” had begun around that time which promoted breastfeeding, which was in direct contrast to what women were taught in the few generations before. My own mother was told by her doctors not to breastfeed her babies because it was considered “primitive.” She disobeyed them, but she was the exception. The reaction of my generation—as it usually is—was to go as far as possible in the opposite direction to the point of shaming women who can’t or don’t breastfeed. After almost two weeks, we brought our then 5 pound, 5 ounce baby home. We had passed all the feeding tests. He was “eating.” He was “sleeping.” He had wet and messy diapers. But the poor boy cried all the time. He would nurse every 1-2 hours, feeding for up to an hour each time. And then he would cry. I thought it was allergies. I stopped eating dairy. I stopped eating eggs. I wrote down what I ate and when he ate and for how long. I wrote down how long he would sleep, which was never longer than an hour—day or night. I took him to the doctor, and despite feeding him around the clock, non-stop, he had lost two ounces. I started going to the doctor’s office every day, weighing him, feeding him, and weighing him again, hoping to see the tiniest bit of weight gain. But . . . the books. The books knew what they were talking about. These were experts. After all, they had written a book. Putting your baby down was bad. Holding your baby too much was bad. Sunlight was bad. No sunlight was bad. But most of all—formula was bad. No matter how exhausted I was, I couldn’t make myself break open even one sample bottle of formula. If I did, that would mean that I had failed . . . that I wasn’t a good mom. And my baby would never forgive me. He wouldn’t be as smart. He wouldn’t be able to fight diseases. He would be overweight. He wouldn’t be receiving the genetic information necessary for his development. I nursed that sweet boy until that magical 12-month mark, and even a little longer. He was happy and thriving. Somehow we had figured it out. I still don’t know how we were so lucky. My second son was born with severe allergies to milk, eggs, and all nuts and I nursed him until he was 18 months old—mostly because I didn’t know what else to feed the poor guy. But by this time, I had friends who nursed their babies until they were over three years old, so 18 months wasn’t anything to write home about. My body and brain had everything figured out by the time I had boy #3. I didn’t read any books. Actually, I gave them all away. I even kind of hated them. I was able to look back at my experience with my first baby and realize that the books and stupid magazines had completely messed me up. They all contradicted each other, and they were ALL right, and ALL wrong. This baby was my first chubby baby and he slept from 6 pm to 7 am . . . Every. Single. Night. He took three naps a day and was laughing and happy. I won’t go into all the details of the birth of baby #4 here, but I will just say that I became very sick after he was born. I had a pulmonary embolism and a Group A strep blood infection that attacked and infected all of my organs. I was dying. There were no stronger antibiotics they could give me and they were talking about flying me to a center for infectious diseases in Chicago. The worst thing about all of this? I couldn’t feed my baby. Not that he couldn’t latch on or that he couldn’t be with me in the ICU (which he couldn’t) . . . it was that I had nothing to give him. My body was shutting down and producing milk was the last thing on its list. My baby had to drink formula. All my fears from those books I had read came back. Would he be strong? Would he be smart? Would he feel bonded to me—especially when I wasn’t even the one feeding him? He wasn’t even allowed to be where I was. My sweet family took care of him and fed him all night and all day for me. It took almost two weeks, but I was finally well enough to go home. Not well. Just well enough. I still couldn’t lift my six-pound baby. He had to be given to me while I sat down. My three older boys spent a lot of time at friends’ houses. Neighbors folded laundry. My husband made dinner. And I fed my baby formula. We tried many different kinds, most of which he violently threw up. I took medicines and tried different things to get my milk to come in. I had heard of friends who had adopted babies who had been able to breastfeed them. Surely my body would remember. It had already done it for over 3.5 combined years. When I would bottle-feed him in public, I wanted to cry out, “I can’t breastfeed him. I want to, but I can’t!” Was anyone even judging me? I don’t know. But I chose to feel judged, and that made everything harder. At this point (and perhaps earlier) it may sound like I was a little obsessed with breastfeeding. And you’re right. I had been trained to be. Am I blaming society? Yeah, a little bit. And the problem stems from this—we have turned something that is completely natural into something that is worthy of congratulations. Have mothers been nursing their babies since the dawn of time? Yes! And were they applauded for it? No. Maybe once they got the hang of it, with the help of mothers, aunts, and grandmas, there was a little celebration and relief, but it was just how we stayed alive—for forever. And I can promise you, that if and when any of those mothers was too sick to feed their own children, they would have been crying in gratitude for the precious gift of formula. Breastfeeding is beautiful. Formula-feeding is beautiful. Both require sacrifice and patience. Both fill those sweet little tummies with the nutrition they need to grow. But that is not all we’re feeding them. We’re feeding them kindness, empathy, and hope. We’re feeding them discipline, gentle correction, and encouragement. We’re not just feeding tummies. We’re feeding minds and hearts. We’re filling them with so much love, it won’t matter how soon they got their skin to skin contact because we get to hold them every day. It doesn’t matter what they were fed as babies—because, hopefully, we’re filling them with goodness and love every day. And that is nothing to feel guilty about. The story of Daughter of Ishmael begins around 600 BC near ancient Jerusalem. While its setting may not be familiar to many, it will feel very familiar to those who know the story of Lehi and Ishmael their families. And, to those who haven’t heard or read their story, the themes of this book will resonate with all readers. While I tend to shy away from dramatizations of scriptural accounts, I genuinely enjoyed this one. Diane did a masterful job taking the reader to this place we’ve never been, to a time only accessible through countless hours of study and research. I was absolutely immersed in the ancient Jewish culture and traditions, in their family life and in their faith. I love that Diane didn’t try to take their time and cater it to the modern reader. She didn’t apologize or try to placate the contemporary woman who might not quite appreciate the roles of women in those ancient times. Instead, she remained true to the time and traditions, and in so doing, my appreciation for and admiration of these brave and stalwart women increased. I think we could all “take a page from their book.” Pun intended. I loved Hannah. She is brave and humble and dutiful. She remains firm and faithful, even under the weight of family tensions, a misguided husband, and being uprooted from her own comfortable life. She had her struggles, and I ached for her, while cheering her on. 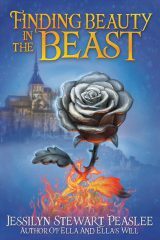 As I mentioned at the beginning, the themes of this book will resonate with every reader, no matter how familiar they are with this scripture story. There is love and hate, obedience and disobedience, humility and pride, life and death, and the struggles that some righteous parents have when their children rebel. Tears filled my eyes on more than one occasion. There is heartache, though it is often mingled with joy. Because it was so well-researched and the characters real and true to their time, there was no obvious break between fact and fiction. They flowed together seamlessly. And since I am so familiar with the story, I found myself anticipating what was coming and wondering how Hannah would react. She never disappointed. And then I found myself wondering how I would react in those same situations. I hope I would be just like Hannah. The Goodreads Giveaway ended on Saturday night and I want to thank the 969 people who entered! Nine Hundred and Sixty-Nine, my friends. Whoa! 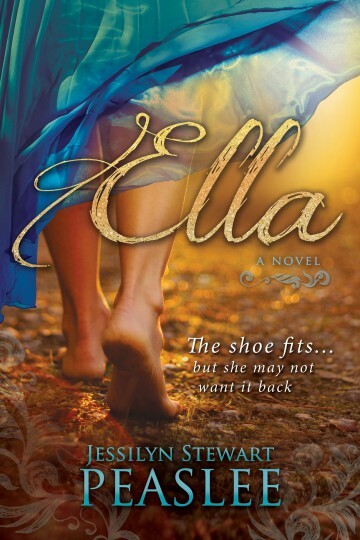 But, if you missed that one or you’re not on Goodreads, then here is another giveaway you won’t want to miss! “Ella’s Will” will be sponsoring a month-long giveaway for the month of October for New LDS Fiction. You don’t have to be a member of anything, you don’t have to be LDS, and you don’t have to give anything to enter–except your excitement over the possibility winning a free book! All you do is login with your Facebook account or email, pick the book you want, AND the format, and you’re done! Easy Peaslee! 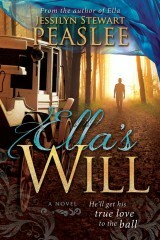 Just click on the link below, take a gander at the books (pausing extra long at “Ella’s Will”) scroll all the way to the bottom, and click on the “Enter to Win” box. You have absolutely nothing to lose! No strings attached! Good luck! For more, and to enter the GIVEAWAY, just click on the link below! 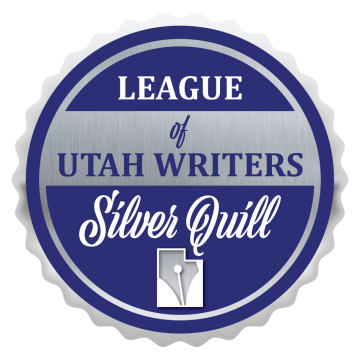 Thank you SO much, League of Utah Writers, for awarding “Ella” the 2016 Silver Quill Award! I am SO honored and grateful!